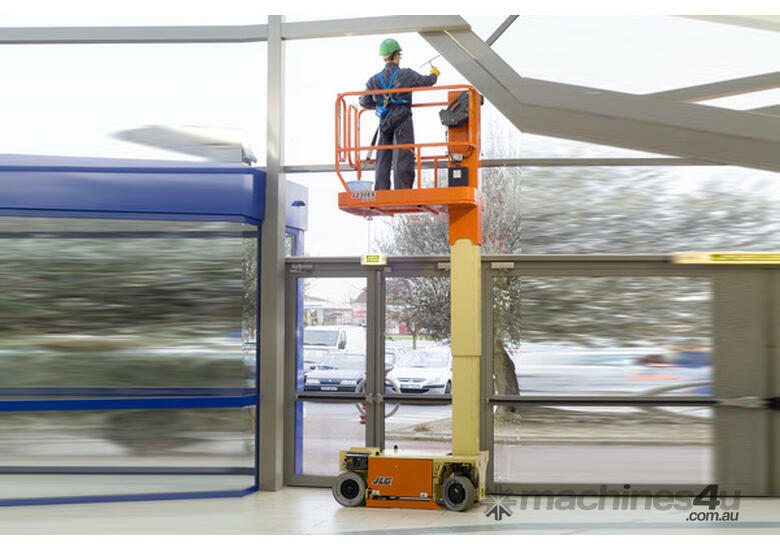 JLG offers the best choice in vertical lifts . self- propelled and drivable at full height, JLG has something to meet your needs. •	Mechanical Pothole Protection System " All motion alarm "
•	Tilt alarm and light " Battery condition indicator "